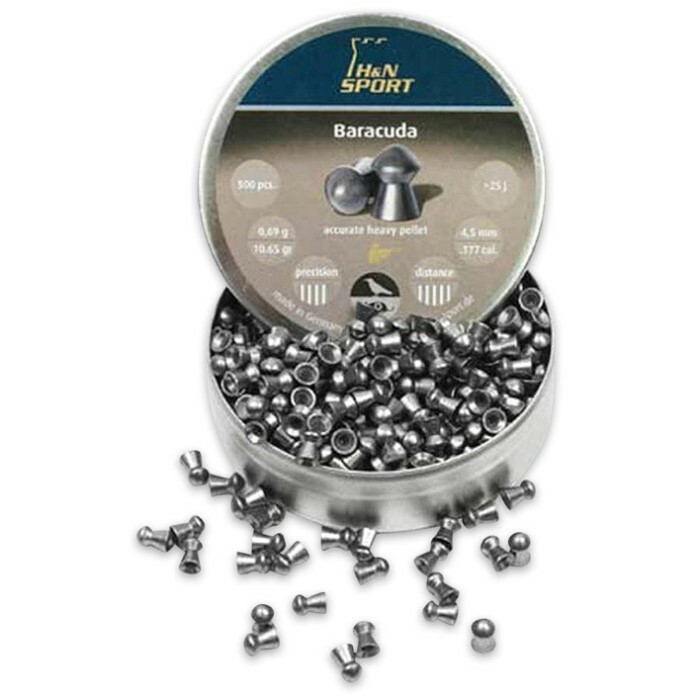 Barracuda .177 Caliber Round Nose Pellets - 400-Count | BUDK.com - Knives & Swords At The Lowest Prices! 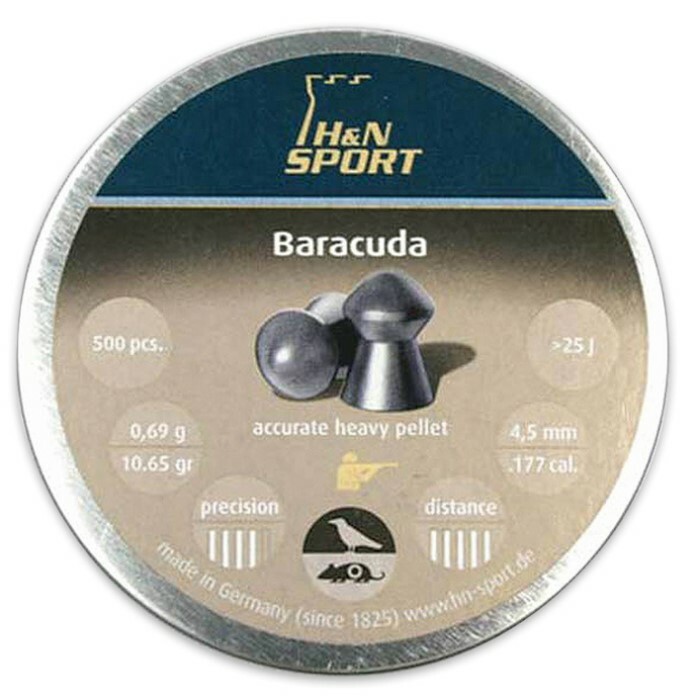 Our Barracuda .177 Caliber Round Nose Pellets are heavy, very accurate pellets for long ranges. Thanks to a special metal alloy construction, you get the lowest rate of lead fouling and consistent shot spread and a first-class, aerodynamic design for high impact and penetration. 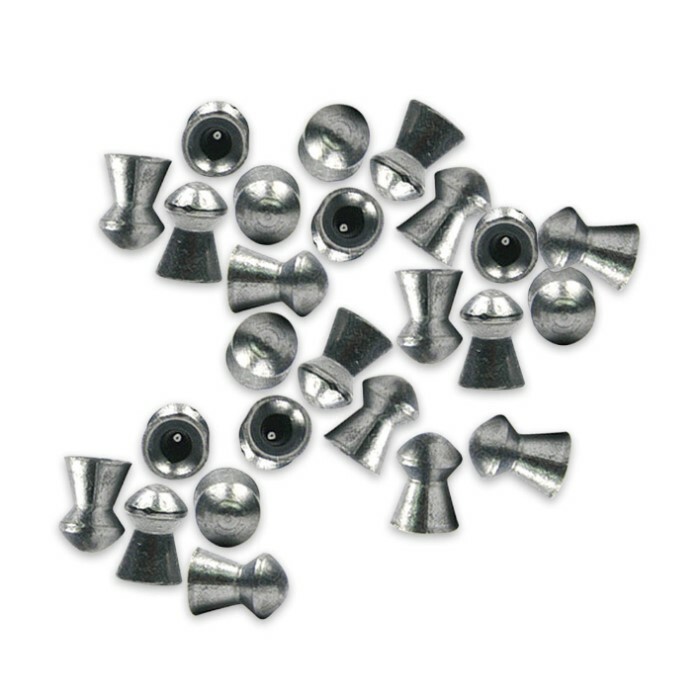 When you shoot these .177 pellets, you can expect tight shot groups at a distance of up to 50 m. These are perfect for shooting your smaller game and small birds.